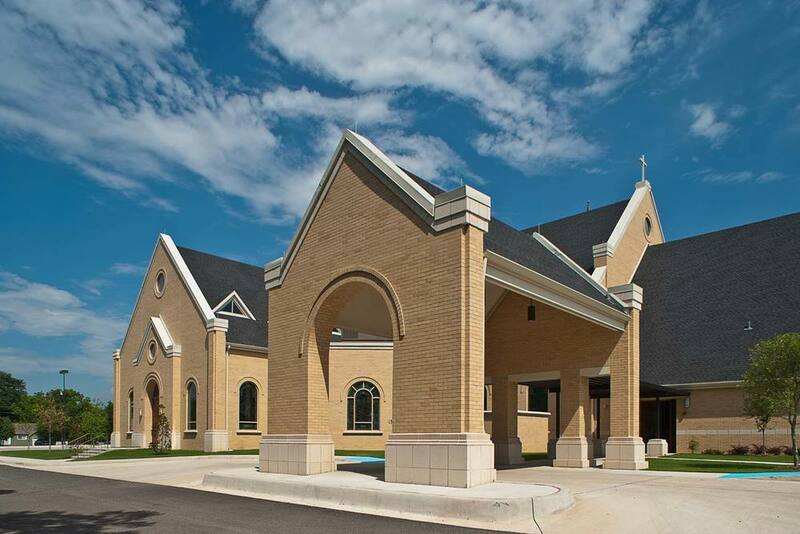 Located in the city of Sherman, Texas, this new 850 seat church makes a big impression on its parishioners every week. 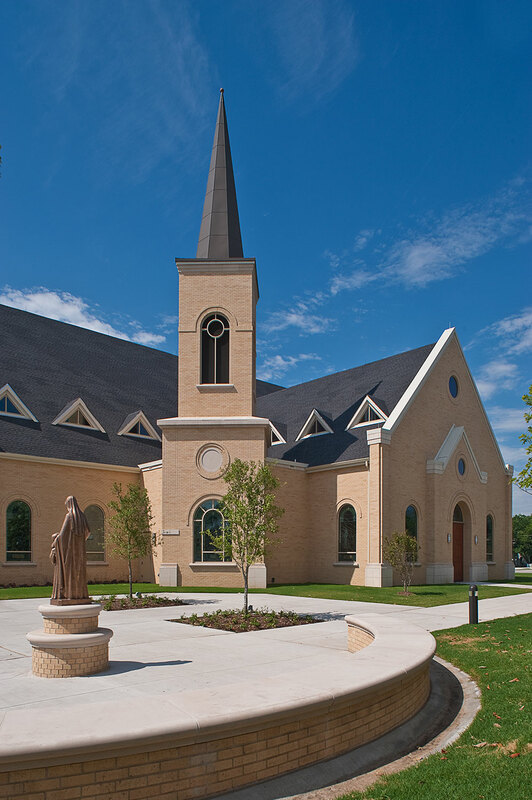 We designed the St. Anne’s Church to be directly on axis with the original church, now designated a historic Landmark, directly across the street. 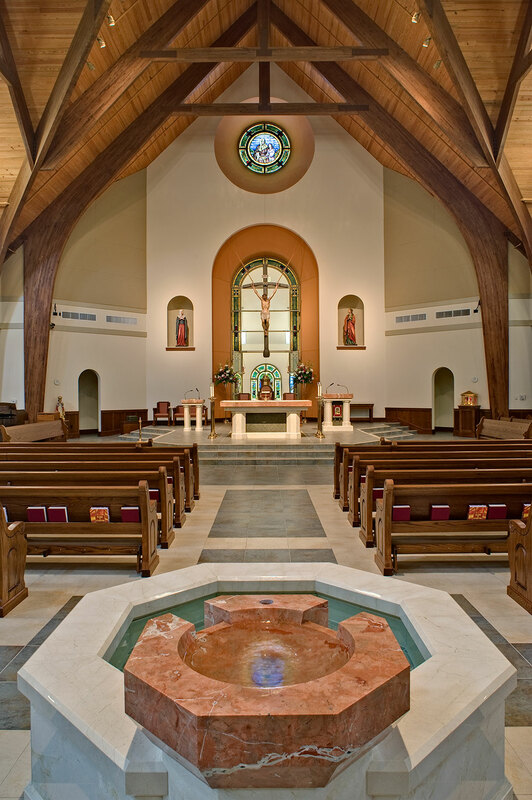 Blending the Gothic and Romanesque styles of the historic church, St. Anne’s is highly regarded by the Roman Catholic Diocese of Dallas and commonly used as an example for future new churches. 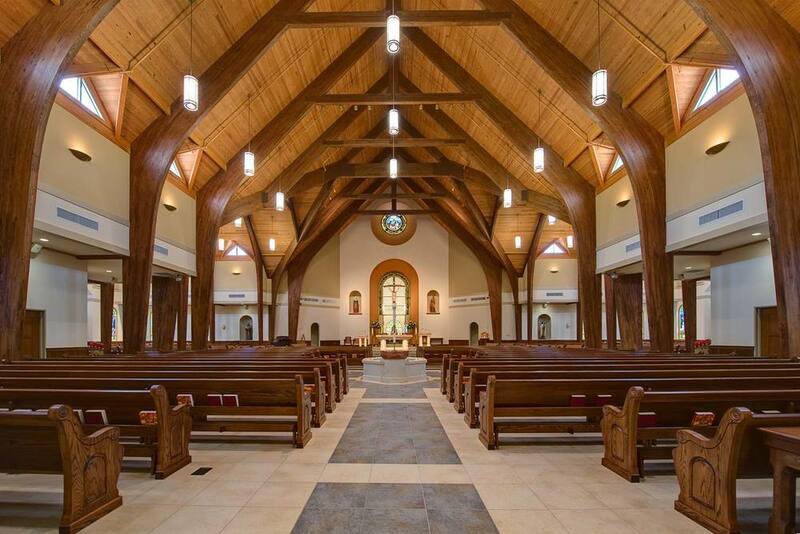 Inside the Nave, visitors are greeted by dramatic wood columns and beams with a beautiful wood ceiling above, giving the space a sense of warmth and grander.